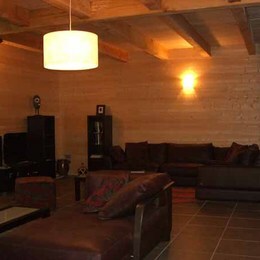 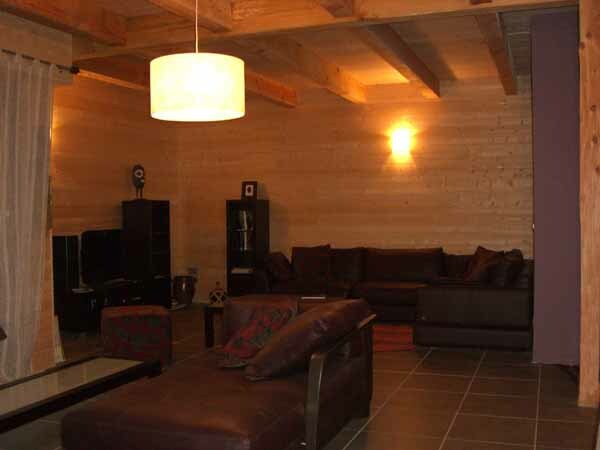 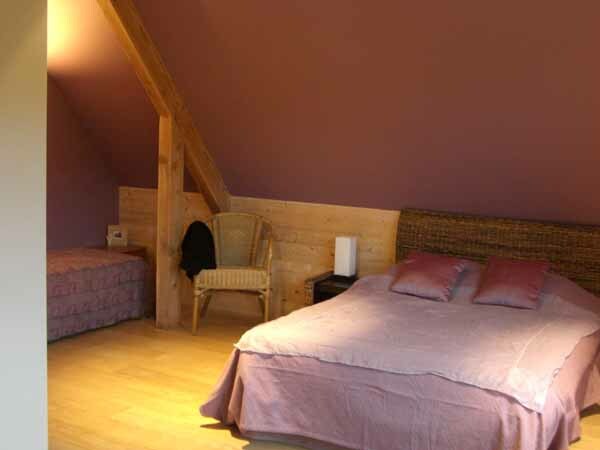 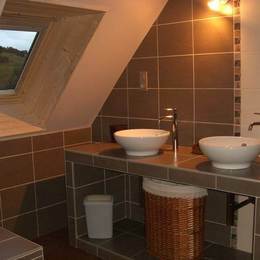 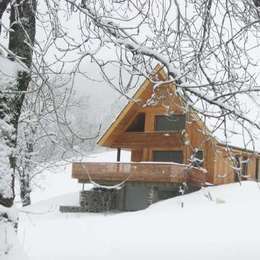 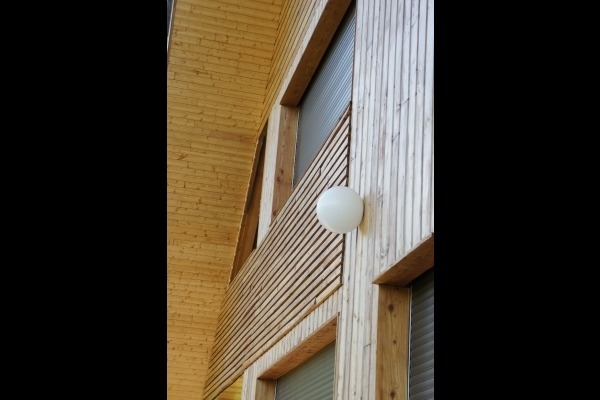 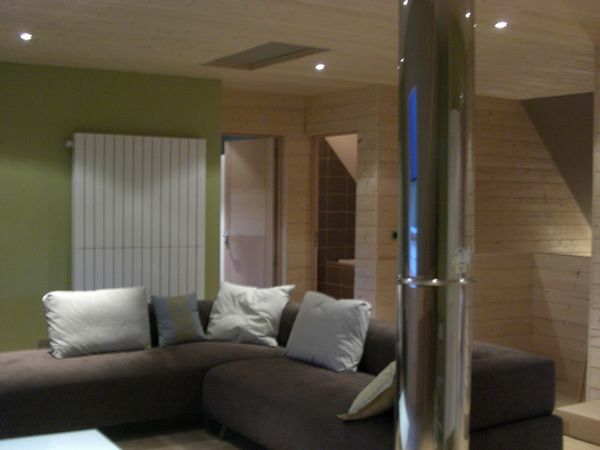 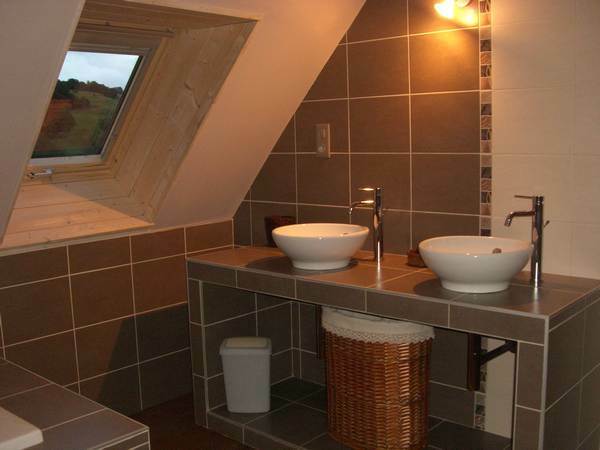 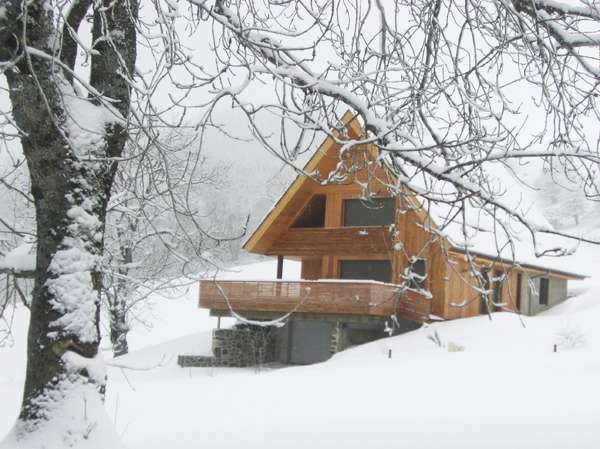 This roomy chalet (150m2) is mainly made of wood. 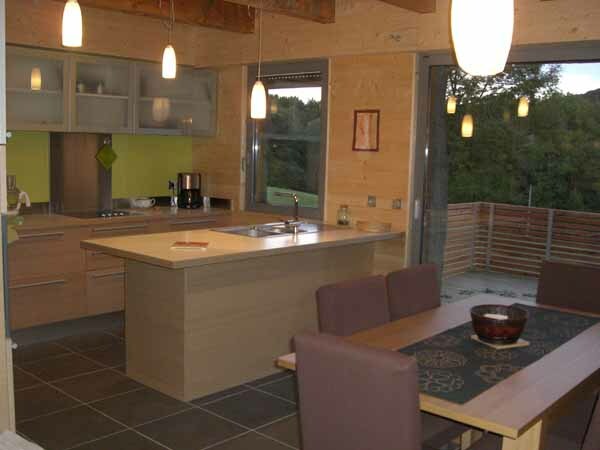 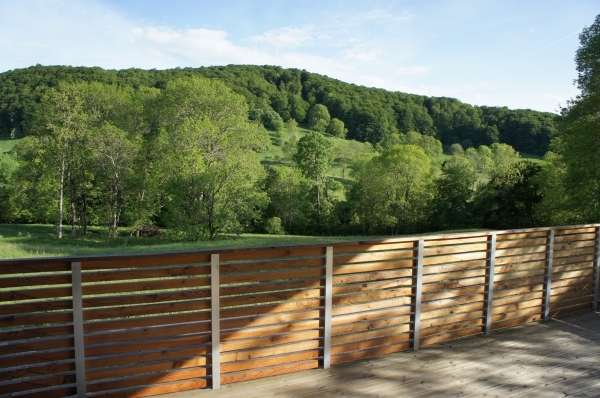 There are a large terrace and a garden and it is built on the owners' organic farm, in a privileged environment (the landscape of Auvergne volcanos),with fields around and a stream. 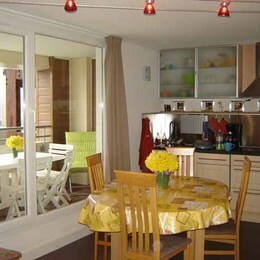 On the ground-floor: the hall, a large American kitchen that looks onto the terrace, a roomy light living-room with a wood-stove, a double-bed bedroom, a shower room + toilets. 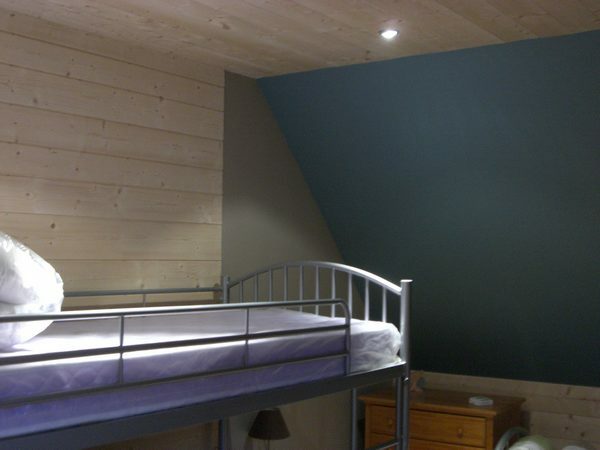 On the top-floor: a second large living-room, a double-bed bedroom with a balcony, a children bedroom ( a single bed, bunk beds, a truckle bed), a bathroom, toilets. 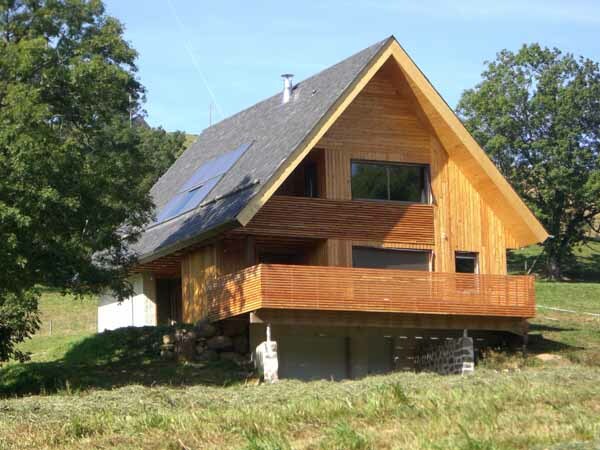 The owners run an organic farm with a cattle of 35 goats (cheese) and a few cows (Ferrandaise breed). 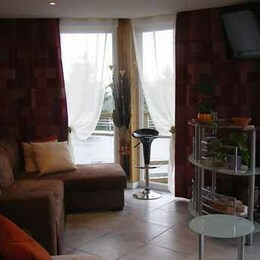 They offer to show you round it. 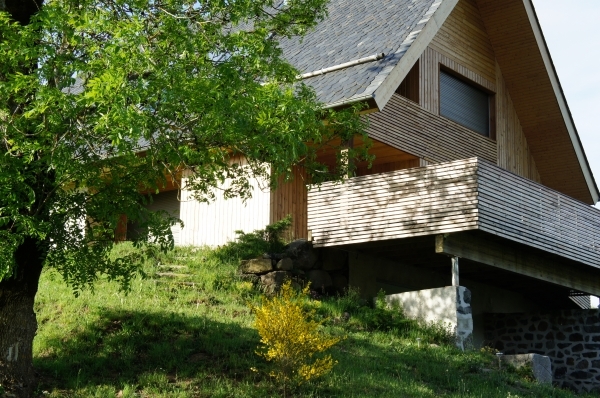 Located in the heart of the Parc des Volcans d'Auvergne, there are many lakes, volcanos.